DAVID LE/Staff photo. 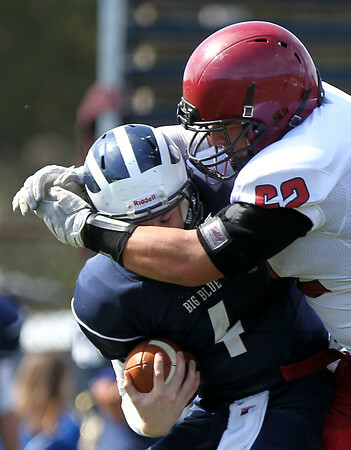 Gloucester defensive lineman Jacob Emerson (62) tries to wrap up Swampscott quarterback Leo Wile (4) during the first half of play. 9/26/15.